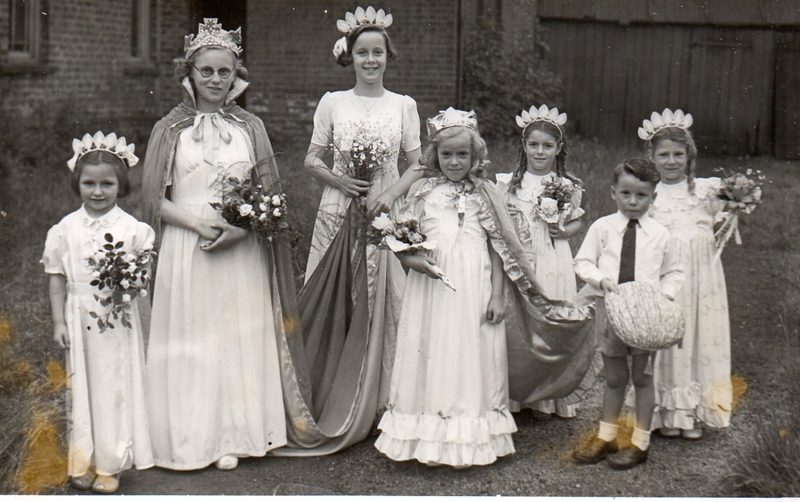 Crowning of Queen at Killamarsh Methodist Church. Sandra Manchester on left. Can anyone give any more names please. Photograph courtesy of Maureen Marsh. The attendant at the back is Audrey Hinchcliffe (now Jackson), the junior queen is Mary Smithhurst, behind her is Anne Bryan (now Northridge).